"How do I publish a children's book?" is one of the two questions most frequently asked of book publishing professionals. Publishing practices for children's and young adult books generally operate very separately from adult publishing, even within the same publishing house. Books for kids are categorized by age range and are often illustrated. 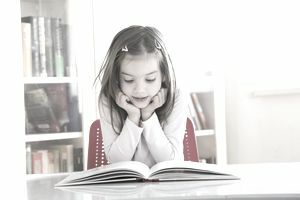 Due to these and other factors, there are unique considerations for those who want a career in the children's publishing industry—whether as a children's author, illustrator, editor, bookseller or librarian. Helping to educate, stimulate and impassion young minds. Opening new and broader worlds of facts and ideas to kids. It is especially important when the kids are from under-served communities, where children without means often don't have access to a wider world than their neighborhood, except through their teachers and school libraries. Fostering a love of reading and books that will enhance children's life-long literacy skills and serve them their entire lives. It's a proven fact that children who are exposed to books and reading early in their lives read and write better as adults, which makes them more equipped for success in school, on the job market and in life in general. They expect a book to do all that? Absolutely. Perhaps because so many of us learned to love books as children, a lot of people aspire to write children's books. It may seem to some wannabe kid's book authors that writing children's books is easier than writing adult books, or that it's easier to get a children's book published. Not so, as there is a high bar for getting a children's book published by an established publisher. Some aspiring children's book writers may think, "There are lots of crappy children's books out there. I could write and/or illustrate a kids book at least as good as [fill in the blank]." If this has occurred to you, consider the quote from the amazing Ted Elliott and Terry Rossio, co-writers of (among many other things) the screenplays for Shrek, Antz, and Pirates of the Caribbean. "'Crap-plus-one' isn't really worth aspiring to. And it's not much of a career strategy." That advice applies to pretty much any artistic career. Therefore, if you're a writer or illustrator who aspires to crack into the "children's literature" market then you'd do well to learn children's publishing conventions. Book publishers will pretty much acquire anything that involves an already-established animated children's television character and/or is written by a celebrity because publishers always look fondly on book projects that come with a built-in platform. This is because built-in platforms give the project automatic consumer recognition and increase the likelihood that the book will sell, after all, publishing is a business, So if you own the rights to the former, or can legitimately call yourself the latter, you're probably already in contract for that book. If you aspire to work in some capacity with children's books, you'll need to learn as much as possible about what's already in the children's book market and where you might fit in. You can start with these recommendations from long-established children's book agent, Elizabeth Harding. For those aspiring to the editorial side of kids books, interview a knowledgeable, local children's bookseller. They'll be familiar with the marketplace and what house publishes each type of book. Kids book writers and illustrators should consider joining The Society of Children's Book Writers and Illustrators, which provides a wealth of information, education, and advocacy for its members. Or approach the children's librarian at your local library, tell him or her what aspect of children's books you're looking into writing or illustrating and ask for recommended books in the same format and age range.